Add a Tail Light Kit? The light used by the pros in the Snowbike industry, If you have seen the Photos and video of Reagan Sieg, Brock Hoyer and Keith Curtis dropping from cornices or shredding the pow this is the light on their bikes. 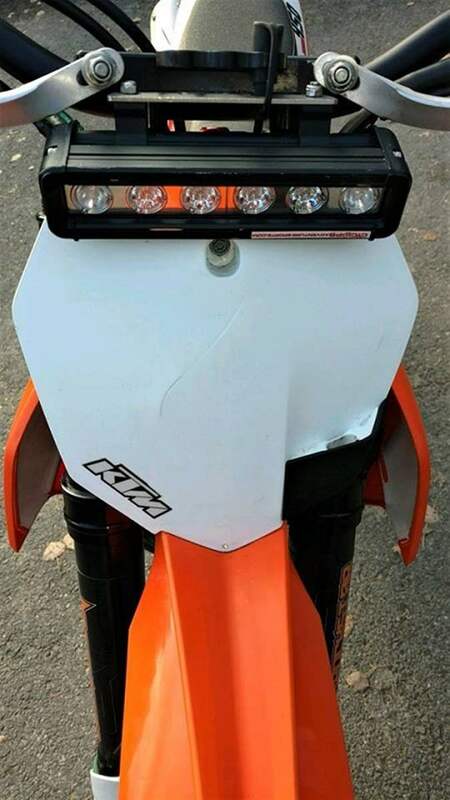 A powerful and extremely Durable LED Dirt Bike or ATV/Snowmobile headlight system that won't break the bank! Overall cost is not just the price of admission, take into consideration performance and longevity, as well as ease of installation. No one compares to Cyclops! 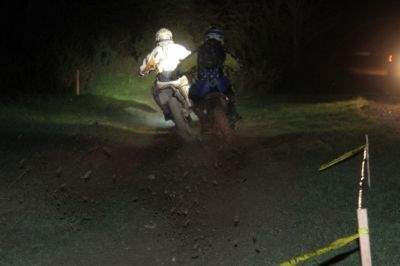 The Penetrator 630 Series LED Headlight absolutely blows the competition away in performance, reliability, cost and ease of use. When you need reliable high performance lighting, the Penetrator will deliver. This is a complete plug and play kit with Penetrator LED light bar, riser mount and handle bar mounted on/off switch. Perfect for your snowbike! 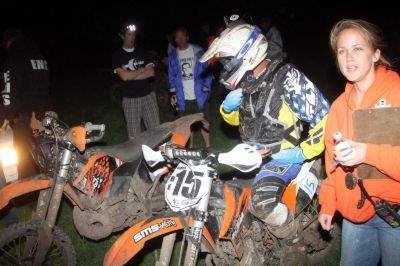 Clears Motocross number plates and enduro or race light assemblies. Can also be used with stock headlight. 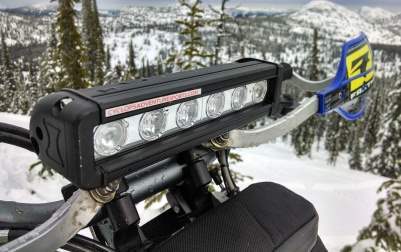 Mount on a dirt bike, ATV or snowmobile for a blinding light that moves with the handle bars. 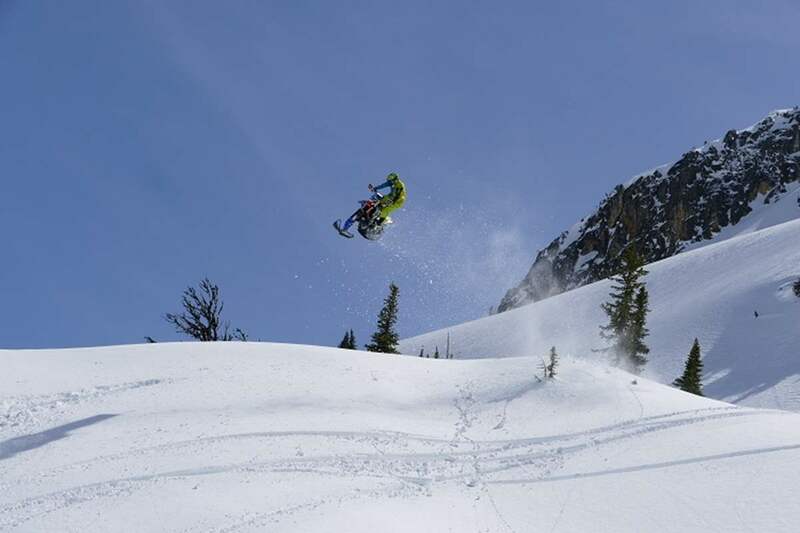 On snowbikes allows the use of the Timbersled bag or a fuel container. Tail Light kits available. The 630 is a combo beam pattern with 2X 25 degree beams at each end of the light bar and 4X 10 degree beams in the center. Great distance and good field of view. Don't be fooled by cheap imitations. Cree does not make lights. Available Cree emitters are far from equal. If a vendor is offering a light saying it is a Cree light, something is very wrong. Choose Cyclops for genuine reliability and performance when it counts. 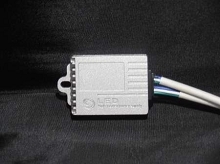 This light ran bright and flawlessly off engine power (no battery needed) on our 2013 Polaris 600 snowmobiles. 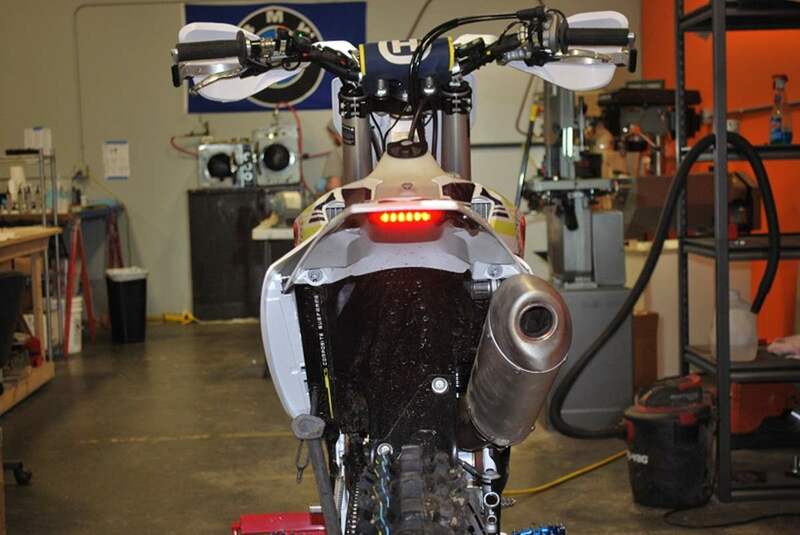 After over 2,000 miles of pounding through all types of terrain at race speeds in the 2013 Iron Dog snowmobile race (including river cruising, mountain riding, trail riding, and coastal ripping), this light continues to impress! Not only is the light durable, but will work at ridiculous temperatures. During the race, we experienced temperatures of -50 degrees F after one layover, and the lights turned on instantly with a flick of a switch. We later found out that many other team's lights weren't able to turn on at that temperature. Finally, in addition to the quality product, I received awesome customer service in setting up the light bar to run off the engine's power. I had a bit of difficulty setting up my power source, but was able to figure it out with help from the guys at Cyclops Adventure Sports. All in all, I would highly recommend this product. Installed on my 2017 Honda 450RX for a new Timbersled 137 kit . Really great light . Easy install , had to make some adjustments due to having a Trail Tech Gauge mounted on riser but made it work . Bright , giggled like a little kid when we tested it at night . All my buds are gonna install on there snowmobiles . Fifth year, 3rd bike. I've used this light for the 24 hrs Of Starvation Ridge, the Tour of Idaho, and countless winter rides. It has never let me down. Customer service is top shelf. Cyclops has the best product, hands down. 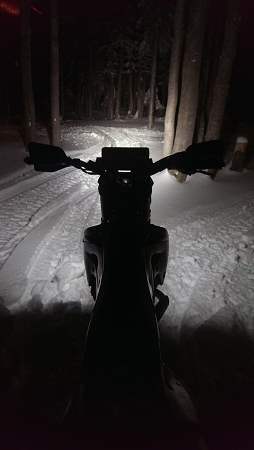 I had purchased this light over a year ago for my snow bike. Needless to say I never got around to installing this Penetrator 630 until last night. I was having an issue in that the bike would not start after inserting the harness into the electric system. I gave a quick call to customer service and instantly had a tech give me a hand. We verified my wiring from extra photos he sent me of the harness but still the problem existed and he was going to check some other stuff in the am. Later I figured out the bike would run but cut out every time I plugged in the light. I had called back after hours assuming to get vm and let them know the new issue and we would catch up in the am. Surprisingly I got a text back letting me know to expect a phone call after the tech got home. Sure enough he called and we figured out I had spliced into the wrong plug. After finding the correct plug everything worked great. Needless to say I was overly impressed with their assistance. Great stuff and excellent service. This is by far the best light I have every had on a bike. Blows everything else out of the water, especially since they have the capability to run on a stator only bike. Have it on my kx450f and it does a great job for all of my riding. Very high quality and impressive performance. Best customer service I've ever received. Darrell from cyclops went above and beyond to get me the lights I needed for my yz250x. Of the many 8" bar lights out there, this one is up at the top as far as durability and longevity. Very, very simple install, rugged mounting solution and after 2 summers of high altitude single track mountain riding and two winters of Baja desert riding this light is STILL going strong. Can't say anything bad and compared to many other more expensive branded options this light definitely holds it's own. Not sure if I can name brand names here, but I've had Rigid lights, VisionX, Baja Designs and no-name knock-offs. There is little to no difference in quality compared to the high end brands and the customer service with Cyclops is great! Don't waste your time elsewhere, get a Penetrator! I run a Penetrator 610 combo and a Baja Designs Squadron Pro on a KTM 450 EXC. The combo 610 fills out the sides and adds more distance when riding 60-90 at night while the BD Squad is my primary spot. Without the 610 combo it's like someone shut the lights off outside of what's directly in front of me.